National Union made the first mass-produced cold-cathode numeric display tubes, which they called ‘inditrons’. 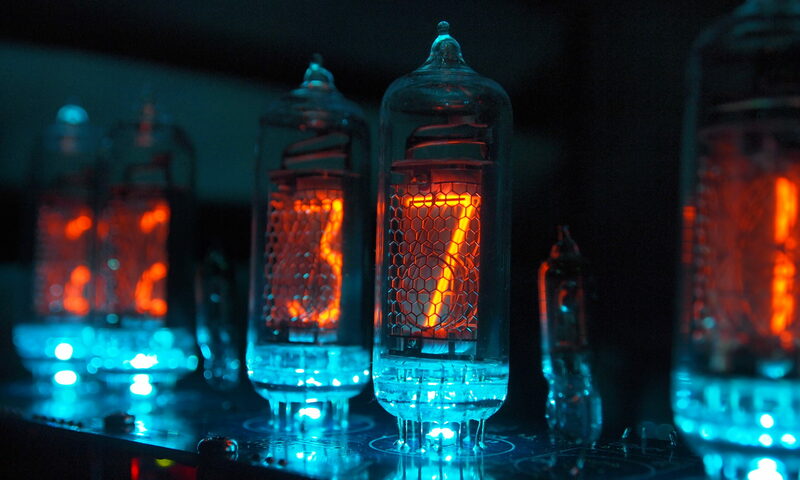 Their tubes pre-dated the true nixie tubes and have several distinctive features. First, their is no separate anode – no grid, and no pin. All of the unlit digits have to serve as the anode, so they have to be pushed up to full anode voltage. Second, the digits are made from bent wire, rather than stamped metal. These tubes are not easy to light.